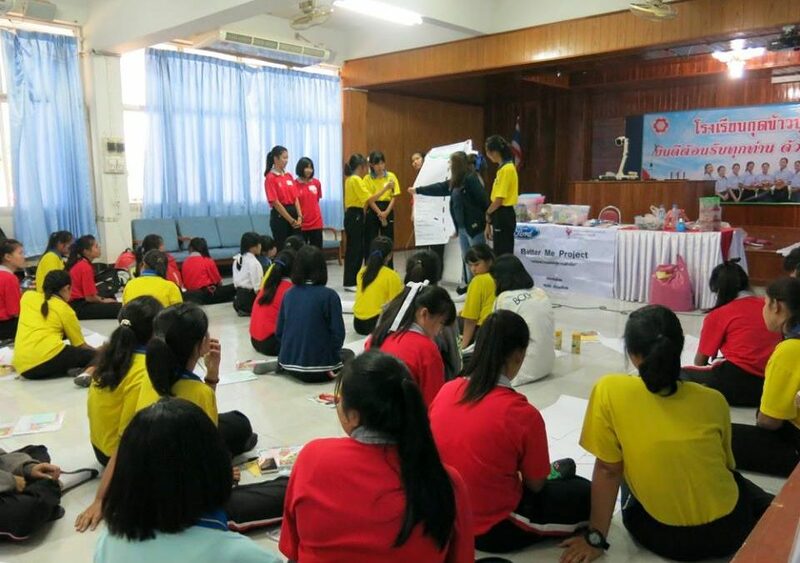 The ‘Preparing for Success’ training programme, through generous support from Ford Thailand, reached out to over 400 girls in rural northeast Thailand. It covered key aspects such as building a positive attitude, practical guidance on post-school career, employment, and training opportunities. This training was conducted as a 3-hour workshop with 10 school groups in five high schools throughout Ubon Ratchathani. The aim of the ‘Preparing for Success’ project was to provide free, high-quality training to underprivileged girls in the rural northeast Thailand. This workshop provides the girls with the opportunity to: 1) Complete a self-assessment; 2) Learn about training and further education options post-school; and 3) Find out how to search and apply for jobs. As a result of the workshops, our trainers were able to clarify information about the Thai education system and labour laws to the students. With the essential knowledge, they would be able to make better choices regarding their future when it comes to education and work.